There will never be an easier method for making fast cash for junk cars in Edinburgh, Indiana. Just call GC’s Junk Cars and we will take it from there! Whether you live in Bartholomew, Johnson, or Shelby County, our junk car buyers can deliver outstanding service in as little as one day! Scroll down to see just why you should choose us as your go-to Edinburgh junk car buying company, as well as, how to get started! Edinburgh Junk Car Buyers at Your Service! Here at GC’s Junk Cars, we accept all junk cars, regardless of age, make, model, or condition. We want to take your junk car off your hands and replace it with real cash! Best of all, we offer free phone estimates, free pick up service, and cash on the spot! You will get paid the same day we come to collect your vehicle! Don’t have the title? Give us a call anyway because we can use alternate methods to verify that you own the car! 4) Get Paid Cash on the Spot! Not only are we are the trustworthy junk car buyers who will make you a generous offer you can’t possibly refuse, we make it easy for you to get rid of your junk and make a profit at the same time! We will dispose of your vehicle according to all Indiana EPA regulations as well, so you can rest assured that your car will not have a negative impact on the environment. Simply call our office, tell us about your car, and request a free personalized quote! Call GC’s Junk Cars at 317-608-2188 to get started on your free quote. And remember, we offer free towing with our in-house tow truck, so all you have to do is call and accept our offer! Our Edinburgh junk car buyers will schedule a time to pick up your vehicle in Edinburgh, and then pay you cash on the spot. Request a free estimate, today! If you’ve just totaled your car, hopefully you are well and in full recovery. But now, you have a damaged asset on your hands. What can you do with a totaled vehicle besides hand it over to your insurance carrier? Well, the truth is, there are many alternatives to accepting the insurance payout from your policy. Continue reading to learn what all you can do with a totaled vehicle. There are many cases in which an insurance company deems a car totaled because it costs more than 51% of the total cash value to repair it back to its original condition, yet, it is still repairable as a luxury or modern vehicle. You see, just because it is too much for the insurance company to pay to repair it, it may not be for you. You might decide that your 2018 Mercedes should be repaired rather than totaled out. The same theory applies to other luxury or newer vehicles that can be totaled as a result of something small, like a catalytic converter or cosmetic damage. Keep in mind, you have to get a rebuilt title and prove the car roadworthy. Otherwise, many automotive insurance carriers will not insure a rebuilt vehicle. If you want to be philanthropic, it would make sense to donate your totaled vehicle. Not only is this charitable, most automotive donation organizations will tow your vehicle away for free. Best of all, you will get certain tax deductions for the depreciated value of the car you donate. Keep in mind, you would have to first buy back the car from your insurance carrier before giving it away to a charity. In this case, your insurance carrier would deduct the vehicle’s salvage value, which generally hovers around a few hundred dollars, plus any policy deductible if the accident was your fault. In the end, you would get a check for the remainder, plus a salvage title. The most popular and lucrative option for a totaled car is to keep it, and then sell it to a local salvage yard for cash. As mentioned, if you decide to keep your totaled vehicle, you will have to first have to get a salved titled through your insurance carrier. Once you have the title and your vehicle is no longer insured under the carrier, you can choose a reputable Indianapolis junk car buyer to do business with. They will haul your car away for free, plus pay you cash on the spot. Just be sure you have the title, otherwise, it can be difficult finding a cash for cars company to do business with in the first place. Call GC’s Junk Cars at 317-608-2188 to sell your totaled car for cash in Indianapolis. We offer free towing with our in-house tow truck, so all you have to do is call and accept our offer! We will schedule a time to pick up your vehicle and pay you cash. No title? No problem! Give us a call anyway! Call 317-608-2188 to request a free estimate, today. Posted in Salvaged Cars	| Tagged Cash for cars Indianapolis, Indianapolis Cash for Junk Cars, options for Totaled Cars, sell Totaled Car Indianapolis, total car buyers Indianapolis, totaled car options, Totaled Cars	| Comments Off on Want to Know What You Can Do With Your Totaled Car? So your Granddad’s old 1950’s Buick turned out to be more of a restoration project than you imagined it would be? Sometimes, an automobile rebuilding mission seems like a great idea, but ends up taking too much time, money, and space. Other times, no matter how hard you try, the car simply cannot be restored back to an operational condition. In cases like these, many car owners are left feeling frustrated and out of options. But what they might not know is, there are options left, one of which puts cash in your pocket and disposes of your asset free of charge! Continue reading to learn how to make the most from your failed car restoration project. 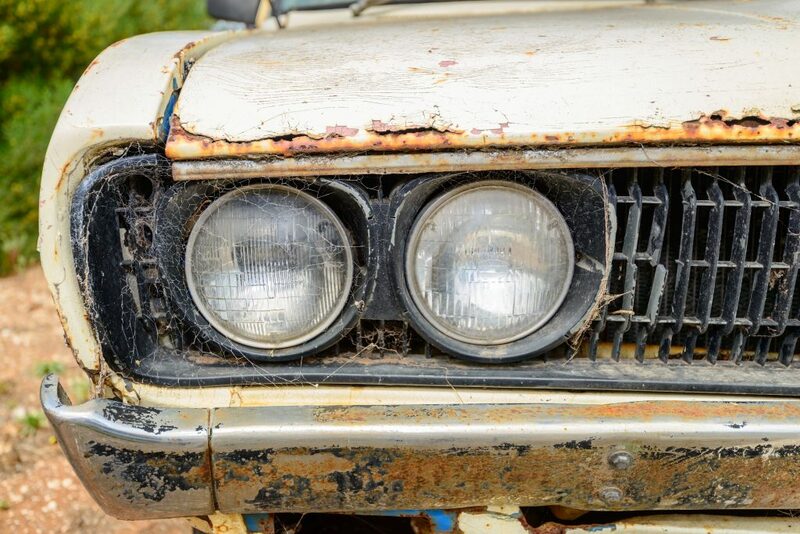 One of the most disappointing aspects of failing a car restoration mission is the financial loss. You have likely put a lot of money, and time which costs money, into your project, only to come out with nothing. Fortunately, you can put some cash back into your pocket by selling your vehicle as a junk car! The most important factor when selling a junk car is locating a trusted and reputable company. Otherwise, you will not obtain the fullest and fairest profit for your asset. Junk car buyers will most definitely take your old junked vehicle off your hands for a certain price. Just be careful; there are handfuls of scammers who will give you a low-ball offer, or trick you into doing bad business. Always be sure to choose a reputable Indianapolis junk car buying company that has roots in the local community by being in business for many years. These are the professionals you can trust for professional service and fair payouts. They will also provide a range of customer conveniences, such as free towing and haul-away, free quotes, and flexible pickup times. Call GC’s Junk Cars at 317-608-2188 to sell your totaled car for cash in Indianapolis. We will pay top dollar for your totaled car! Our professional junk car buyers offer free towing with our in-house tow truck too, which means all you have to do is call and accept our offer! We will schedule a time to pick up your vehicle and pay you cash. Call 317-608-2188 to request a free estimate, today. Determining whether or not a car is totaled is usually the job of your insurance adjuster. Whatever they say goes in terms of the condition of your car and how much it is worth. But many car owners often confuse themselves when it comes to airbag deployment. 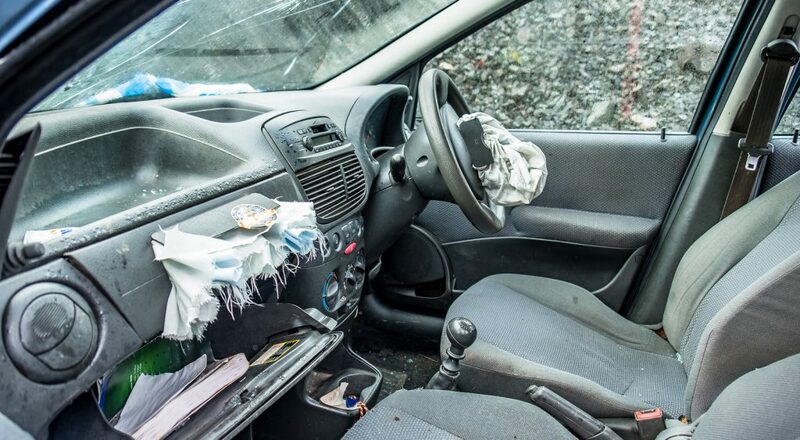 Most people assume that if an airbag deploys, a car is instantly rendered a total loss; but this is not always the case. 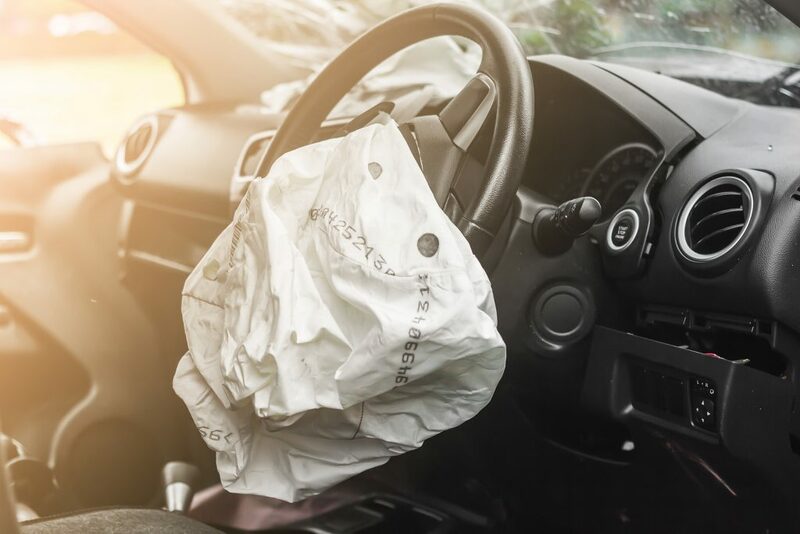 Continue reading to learn more about the link between airbags and totaled cars. Airbags are not cheap. They can cost up to $1,000 just for the part; then you have to pay for labor, as well as, any damage done to the dashboard and steering wheel. Overall, you can expect an airbag replacement and repair to cost at least a few thousand dollars. All insurance companies deem a car a total loss if the cost to repair it back to its condition prior to the accident exceeds the actual cash value (ACV) of the vehicle prior to the accident. Most states set the limit between 50% and 80%; here in Indiana, it’s 70 percent. So if an airbag deployment renders a vehicle so damaged that the cost to repair it is more than what the car is actually worth, it will be deemed a total loss and given a salvaged title. However, a deployed airbag does not always cost more than a vehicle’s cash value. In some cases, the cost to replace an airbag and reconstruct the dashboard and steering platform does not exceed the fair market value of the vehicle. This is usually common among newer model vehicles, and brand new vehicles. For instance, if you have a 2015 Lincoln Navigator, the cost to replace a deployed airbag would not cost tens of thousands of dollars, which is what a Navigator of that model would probably sell for. In contrast to this example, smaller or lighter vehicles, like a new Hyundai Accent, would likely be totaled if the airbag deployed because more damaged would be done. The first step to the automotive claims process is to contact your insurance provider to schedule a time to have the condition of your vehicle evaluated by an adjuster. They will determine, along with their appointed auto body experts, whether or not your vehicle is a total loss. If it is a total loss, they will tender your policy limits. If you wish to keep your total loss vehicle, you must buy it back from the insurance company by paying them the actual cash worth, minus your policy’s deductible. Usually, you just forgo the payout they offer for the vehicle; you don’t actually pay your insurance company out of pocket. Upon keeping your totaled car, the DMV will issue it a salvaged title. Call GC’s Junk Cars at 317-608-2188 to quickly and conveniently sell a totaled car in Indianapolis. We offer free towing with our in-house tow truck, so all you have to do is call and accept our offer! We will schedule a time to pick up your vehicle and pay you cash. Call 317-608-2188 to request a free estimate, today. Posted in Junk Cars	| Tagged airbag deployed car totaled, airbag deploys total a car, airbag totals car, sell a totaled car, total loss vehicle, totaled vehicle options	| Comments Off on Is a Car Totaled if the Airbag Deploys? LEARN HOW TO GET PAID CASH FOR YOUR JUNK CAR AS SOON AS TODAY! If you want to know the easiest and most efficient way of getting cash on the spot for your junk car, you are in the right place! Here at GC’s Junk Cars, we retain the latest technologies and years of hands-on experience in the auto salvage industry, all of which allows us to deliver the highest and most accurate payouts for junk vehicles and motorized commodities in all of Central Indiana. Continue below to learn exactly what we do and how to get started as soon as RIGHT NOW! GC’s Junk Cars makes the cash for cars process as simple as it can be, here in Indianapolis. First and foremost, although we are based out of Indianapolis, we provide service to all of Central Indiana and its surrounding areas. Furthermore, we have our own in-house tow truck, which means we come to you! Best of all, there is no extra charge or fee for our junk car haul away services. In fact, YOU are the one who gets paid CASH ON THE SPOT! We can usually find other ways to verify ownership for your junk car, such as registrations or insurance policies. So rest assure that you still have a chance to make fast cash and clear up some space in your garage or driveway! 1) Call our office at 317-608-2188 during business hours, which are Monday through Saturday, 8:00am to 6:00 pm. 2) Request a free, over-the-phone quote for your junk car. 3) Accept our offer and schedule a time to have your vehicle picked up – OR – Visit our complex for an on-site assessment and quote. 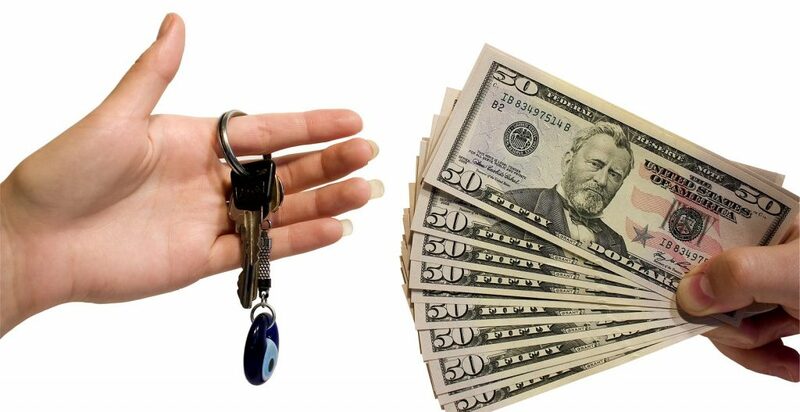 4) Hand over your title (or other form of owner verification) to our towing operator, and get paid CASH IN HAND! Then our towing operator will take your car away! We have been buying junk cars throughout the Central Indiana area for numerous years. With our knowledge and expertise we stand by our offers 100%. Rests assure you will be getting the best price for your car because you would be selling directly to the scarp yard. There is no middle man, which means more cash in your pocket. Call GC’s Junk Cars at 317-608-2188 to get started! When it comes to selling your junk car for cash, the most important aspect is choosing the right company. In the end, the right company will be the one who pays you the most and makes the process the easiest. Continue reading to learn how to choose the best junk car buyer in your town. 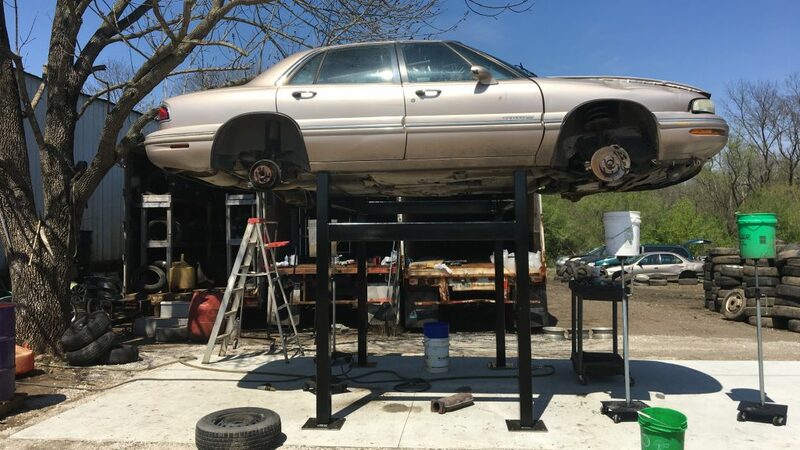 The right junk car buying company has a good reputation, is sufficiently-equipped to provide accurate weigh-ins and assessments, and successful enough to pay the highest return possible for your asset. Furthermore, they offer a list of customer conveniences that make the process of selling a junk car, simple to follow. You can start your search by asking friends, family and co-workers for referrals, or you can look online in local business directories. ⇛ REPUTATION – A local company has a good reputation within the community. The best way to measure the reputation of a junk car buyer by reading past client testimonials and online reviews. You can also get an idea of how they do business simply by giving them a call to request a quote and testing out their level of courtesy and professionalism. ⇛ CREDENTIALS – Credentials to look for include proper licensing and certification in the city and state, a long-standing period of time in business, and memberships to any related industry organizations, initiatives, or business authentication clubs. If a business is serious, they will have a deep-rooted history and experience in the industry. ⇛ RESOURCES – When a junk car buyer has professional resources, such as electronic platform scales, XRF analyzers, and similar verification technologies, they can provide more accurate estimates and offers for clients. In turn, this means they can offer higher payouts since there is no room for error or dishonesty with top-level technology in play. ⇛ AMENITIES – Junk car buyers who are serious professionals tend to do more to make the process easier for clients. For example, look for companies who have their own tow truck so that you do not have to pay out-of-pocket for pick-up and drop-off service. Furthermore, reputable companies usually offer free quotes, flexible haul-away scheduling, and can sometimes do business without a car title. Want to Skip All the Hassle? Call Our Trusted Indiana Junk Car Buyers! Call GC’s Junk Cars at 317-608-2188 to sell your junk car for cash in Indianapolis. We offer free towing with our in-house tow truck, so all you have to do is call and accept our offer! We will schedule a time to pick up your vehicle and pay you cash. We accept all vehicles and motorized commodities, regardless of age or condition. Request a free estimate, today! When you purchase a car, truck, or SUV in Indiana, you are required to register the vehicle and obtain a certificate of title. However, you may be surprised to learn that not all motor vehicles require a title here in the Hoosier state. If you own a motor vehicle that you wish to sell, but you cannot locate the title, you may not even need it in the first place. Continue reading to learn which vehicles are not required to have a title in Indiana. A “motor vehicle” is not just a car or truck; it is any passenger occupied vessel that runs on a motor, whether that motor is electric or fuel-powered. This includes scooters, motorcycles, boats, personal water crafts, all-terrain vehicles, lawn mowers, tractors, and even certain kinds of construction and farming equipment. As for a certificate of title, many of these same motor vehicles are not even required to be titled. Motor-driven cycles are not motorcycles, which do require a certificate of title. In contrast, they are vehicles designed for just one rider, do not travel on more than 3 wheels, do not exceed 35 mph, and meet several other design requirements. Common examples of motor-driven vehicles would be motorbikes, scooters, mopeds, and similar motorized rides. Water crafts that are not required to be registered with the state are also exempt from being titled. Water crafts are any type of vehicle that travels on water; but not all water crafts are exempt from registration and titles. Those that do not require a title are those that are non-motorized, such as canoes, kayaks, rowboats, paddle boats, inflatable lifeboats, and some fishing boats. Not all off-road vehicles can forgo a certificate of title; only those that were acquired before 2010 are eligible. Off-Road vehicles are those that can travel on various inclement terrains for long distances. 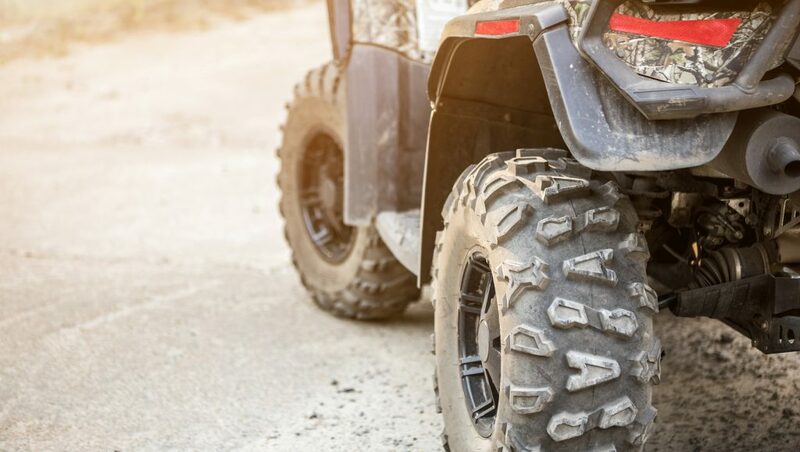 Examples of off-road vehicles include ATV’s, amphibious vehicles, ground effect air cushion vehicles, recreational off-highway vehicles, and vehicles powered by natural elements like wind and sun. Although it is not common to own a snowmobile in a state where snowfall is so inconsistent and low, some do. And for those that do, they do not need a certificate of title. Also included with snowmobiles are OTV’s, also known as other-terrain vehicles. These are motorized vehicles that can travel through mud, swamps, snow, ice, marshlands, and more. Any type of motorized special machinery is not required to have a title. Examples include ride-on lawn mowers, tractors, golf carts, and any vehicle made by someone other than a manufacturer that does not exceed 25 miles per hour. Although these motor vehicles listed above are not required under law to be titled, an owner can choose to obtain a certificate of title if they want to. It is entirely optional, and depends mostly on personal preference. However, if a vehicle owner does volunteer for a title, they must, from then on, adhere to all regulations and requirements set forth by the state, even after the title expires. 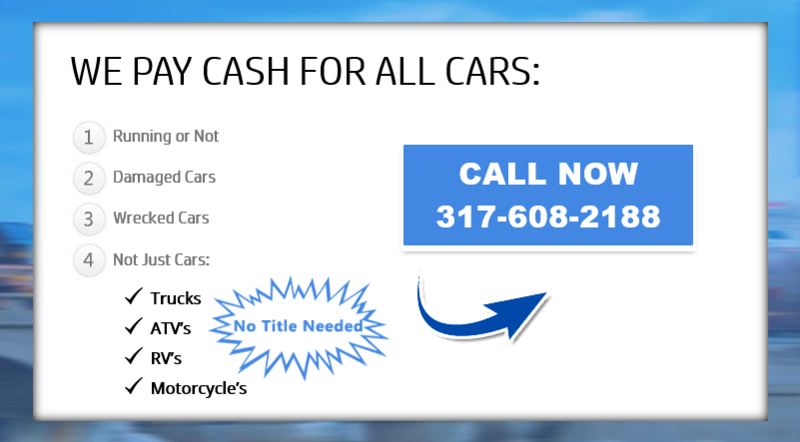 Call GC’s Junk Cars at 317-608-2188 to sell a junk car for cash in Indianapolis, today! We have been buying junk cars throughout the Central Indiana area for several years. You will get the best price for your car because you are selling directly to the scrap yard! 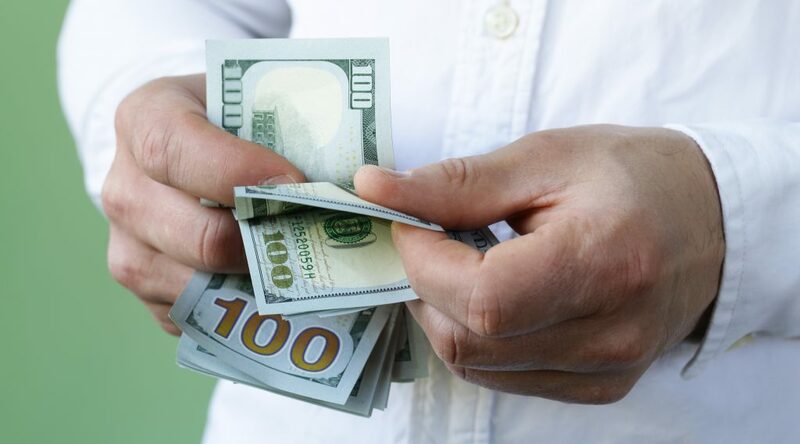 There is never a middle man, which means you walk away with more cash in your pocket. We buy all types of vehicles in all types of shape, running or not, and offer free towing and pick-up. No title? No problem! So you have finally come to the decision to get rid of that old, broken down, rusty junk car that has been taking up all your garage and driveway space for too many years! And then, “Uh Oh”, you enter full panic-mode because you cannot find the title document. So what do you do? The answer is actually quite simple, and will give you some much needed relief this holiday season! Continue reading to learn what you need to do in order to sell a car without a title. Although a vehicle with a title is worth more because of the potential to resell, you do not necessarily need one to sell a car, especially if you are doing business with a scrap yard or junk car buying company. These enterprises are not in the business of buying and selling cars, but rather, buying cars and dismantling them for the valuable metal components within them. In these cases, a car title would be quite moot to a junk car buyer. Instead, the primary purpose of a car title when selling a junk car to a scrapper would be to simply prove your ownership. After all, a junk car buyer does not want to purchase a vehicle from an unauthorized seller; this would be against the law. 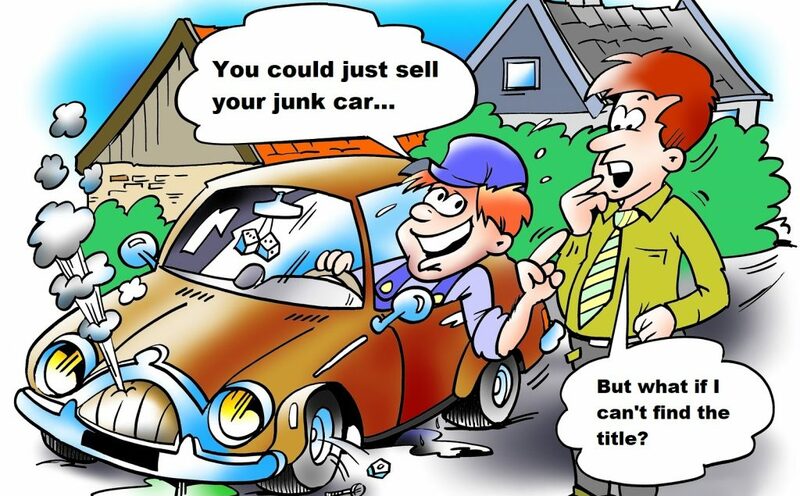 So how can you sell a junk car without a title, while still proving ownership? Well, there is more than one answer. It all depends on your personal preference, the resources available to you, and more. The Bureau of Motor Vehicles (BMV) will allow car owners to replace a lost, faulty, or stolen car title if they can meet all the replacement requirements. This new title will have “DUPLICATE” printed on its face to show that is it not the original document, but it will work just the same. Once a duplicate title is issued, the original one is no longer valid. Visit the BMV Duplicate Title Application page to get started. Some junk car buyers may be able to verify ownership using alternative methods, such as the car’s registration, insurance policy, and other official legal documents. This policy differs among scrappers, so it is not always a guarantee. Be sure to learn about such policies before choosing a junk car buyer to work with. Whether your vehicle was damaged in a flood, or submerged underwater, you should know about the potential safety hazards of operating a flood-damaged car or truck. Continue reading to learn what you need to know about flood damaged vehicles, including possible dangers, title changes, NMVTIS vehicle history reports, and how to sell one. Call 317-608-2188 to Sell a Flood Damaged Car in Indianapolis! When a vehicle is exposed to severe water damage, such as flooding from natural disasters or submergence in a body of water, it is no longer safe to drive. Too many systems and components in the vehicle will be damaged by water, rendering it insufficient for standard operation. One of the most compromised areas of a vehicle are the electrical systems. From airbags and AC, to the battery, lights, computers, and more, virtually all electrical systems will be damaged if submerged or flooded by water. A damaged electrical system instantly makes a vehicle particularly unsafe for road use. 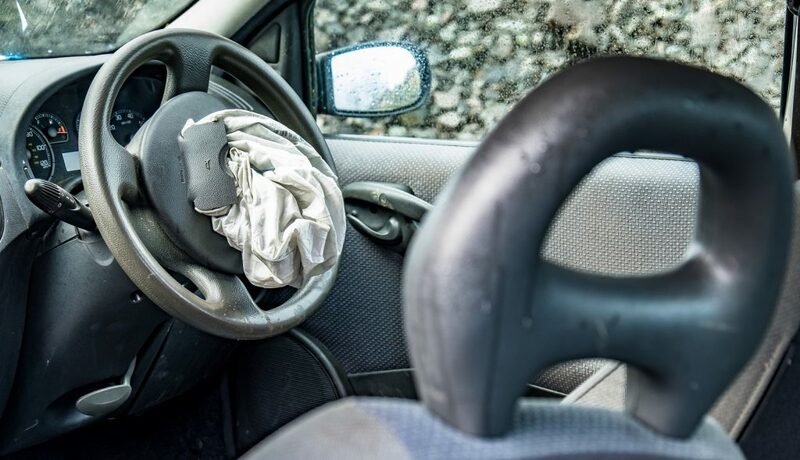 One of the most important electrical systems in a vehicle are the airbags, which can be defected after flooding. The National Motor Vehicle Title Information System (NMVTIS) was designed by our federal government to protect consumers from vehicle-related fraud and theft, namely purchasing used vehicles with intentionally-concealed vehicular histories. It is the only national system that is available to the public, and all states, insurance carriers, junk car buyers, salvage yards, and automotive recyclers, are required under federal law to report vehicle history information. It is strongly recommended to always obtain a NMVTIS vehicle history report, as well as, a pre-purchase car inspection, before buying a used car or truck. See our blog, “Facts About the National Motor Vehicle Title Information System” to learn more about their available resources and how to download a free report for yourself. There are various factors that influence how and where you can sell a flood-damaged vehicle. 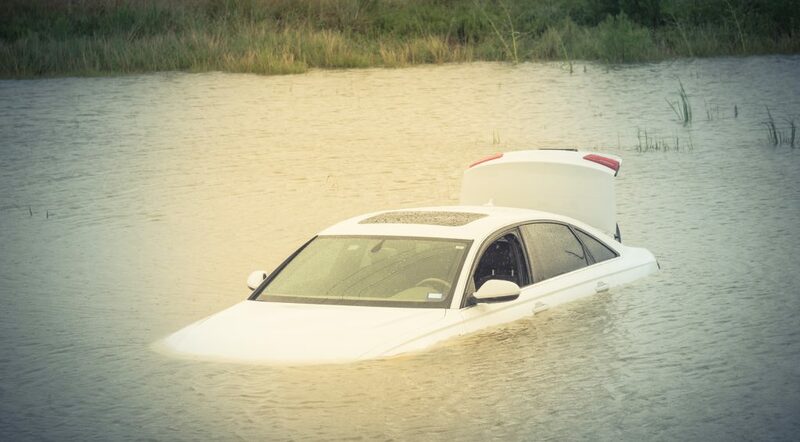 See our blog, “Can I Sell a Car That Was Submerged in Water?” to learn some helpful facts about selling flood damaged vehicles, car titles, total loss vehicles, and more. You can always contact a trusted Indianapolis junk car buyer to sell a water damaged car or truck. They will pay you cash on the spot regardless of a vehicle’s make, model, age, or condition!